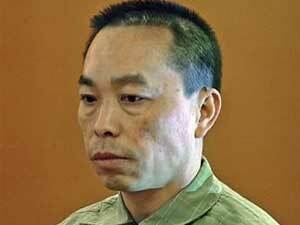 The jury's guilty verdict ends the legal aspect of the Chai Vang murder case. But the emotional toll will linger, especially for members of the area's Hmong community. St. Paul, Minn. — There was little doubt that Chai Vang, 36, shot the white hunters last fall in the woods of northwest Wisconsin after a confrontation over a deer stand. The Hmong truck driver admitted that when he was arrested -- and again on Thursday when he took the stand in his own defense. But after a week of testimony, and just three-and-a-half hours of deliberations before the jury found him guilty on all counts, some are calling the trial unfair. Cheu Lee is the publisher of the Hmong Times newspaper. He says he expected a guilty verdict, but he didn't expect the trial to end so quickly. And he thinks race may have played a role. "I think that if this was a case where it happened with white and white, then it would probably take a longer time to do the case," Lee said. The prosecutor has downplayed any racial aspects to the case, but that hasn't convinced many members of the Hmong community. It's not going to do any community any good by just shrugging it off and saying it wasn't a race issue. It was a race issue. Lee Pao Xiong, director of the Center for Hmong Studies at Concordia University in St. Paul, says it's undeniable that race was a factor in the case -- just based on the testimony from Vang, as well as one of the wounded hunters. "We need to admit that there's racial tension and there's some element of race in this particular incident, and that we need to come together to address it. It's not going to do any community any good by just shrugging it off and saying it wasn't a race issue. It was a race issue based on the information, the testimony that we heard," Xiong said. The Vang case exposed the long-running racial tensions between white and Hmong hunters. And since then, there's been concern about a possible backlash. Hmong leaders feared the entire community would be on trial with Vang. Ilean Her of the Council on Asian-Pacific Minnesotans says with the verdict, some relief has arrived. "I'm glad that this case has been resolved for the family and the victims involved, and that the jury has reached a verdict. But there's still the larger question of what we're getting to here about community relations," Her said. The day before the jury's verdict, Chai Vang's mother pleaded for people to get along. She said the confrontation could have been avoided if people learned to respect one another. Now that the verdict is in, Hmong leaders are heeding her words. They say it's time to begin the healing process.